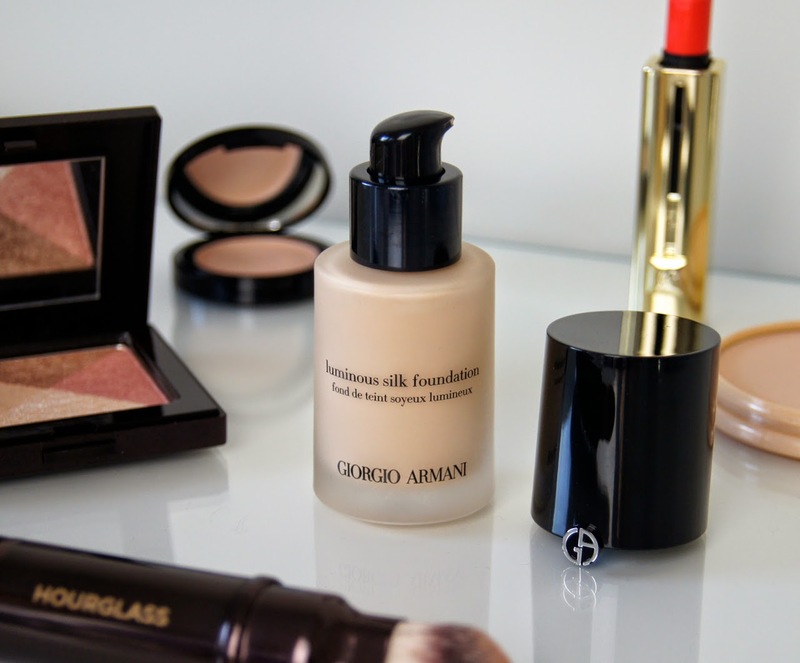 Giorgio Armani's Luminous Silk Foundation has caused quite a stir in the beauty world. All I've heard is good things about the seemingly perfect formula, so how could I resist picking it up? The main question is - is it worth the hype? Honestly, when I first tried this base I was so confused. The flawless, but natural, glowing finish I had been expecting, seemed impossible to achieve. Providing barely any coverage, it clung to dry skin that I didn't even know I had and I needed to use about four pumps of product for just one application. In hindsight, I think my skin still hadn't fully recovered from an allergic reaction I had a while back and was still way too dry and red for the foundation to even have a chance to look good. Fortunately, this horror story was just an anomaly and, after going our separate ways for a while, we've been reunited. Fortunately, I've done a complete 180º on my view of this foundation and I couldn't be happier! Oil-free, this base has a thick, gel-like texture, which feels very smooth and light. With a hydrating formula, it's comfortable to wear and doesn't feel heavy or suffocating. Giving a medium to full coverage, it looks deceivingly sheer when you first smooth it on, but as soon as you begin to buff, that perfect canvas starts to appear. Depending on how clear your complexion is to begin with, a single pump of product gives a natural, healthy finish and allows your skin to still show through slightly. But, as it's build-able, you can easily layer coats of the foundation in areas where you need some extra help, to really achieve that flawless, perfected look, without skin looking completely false and caked in a mask of makeup. Although, some redness and very stubborn blemishes can refuse to be disguised with the foundation alone, so concealer is still necessary if you want to camouflage absolutely everything. 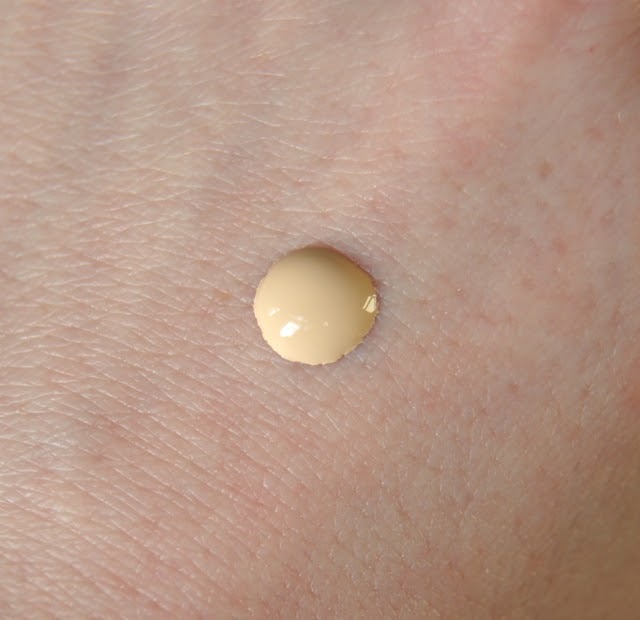 On my skin, it doesn't emphasize those fine, vellous hairs on the face, sink into any fine lines or accentuate my pores, like other fuller coverage foundations can do. Although I'm glad this base is fragrance-free, as it's unnecessary and can cause irritation, it smells like paint. Thankfully, it soon dissipates after application. Similarly to the Nars Sheer Glow Foundation, you could get the wrong idea from the name of this base, if you hadn't read up on it before. Like the name suggests, it gives a subtly glowing, satin finish, but it's not the most radiance-boosting foundation out there. Instead of leaving behind a dewy or tacky residue on the skin, it dries down completely, which you wouldn't necessarily associate with a luminous formula. 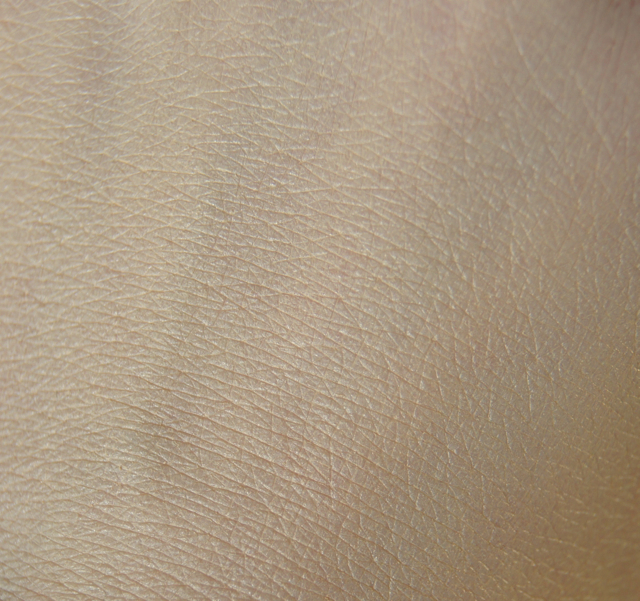 But, it doesn't look dry or chalky and gives a sheen to the skin that's flattering and not greasy-looking. Ideal for a night-out or a special occasion, it looks amazing in photographs, giving no flashback or ghostly white-cast. Now, it's going to happen any time soon, but I could definitely imagine myself choosing to use this foundation on my wedding day. As I have relatively dry skin, this foundation lasts so well on me, even if I skip the primer step or forgo using powder to set it into place. 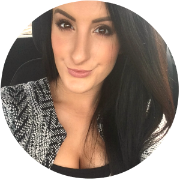 For me, it's a totally reliable base and I know I don't have to check that it's started to slide down my face or go patchy half-way through the day. But, my skin has to be well exfoliated, moisturised and totally free from any flakey patches, or the product will cling to them. The brand claims that this foundation suits all skin-types, which I do agree with. But, if you have a particularly oily complexion, then you may want to use a primer underneath and dust over it with powder, to ensure it really adheres to the skin and doesn't start to slip around and fade. 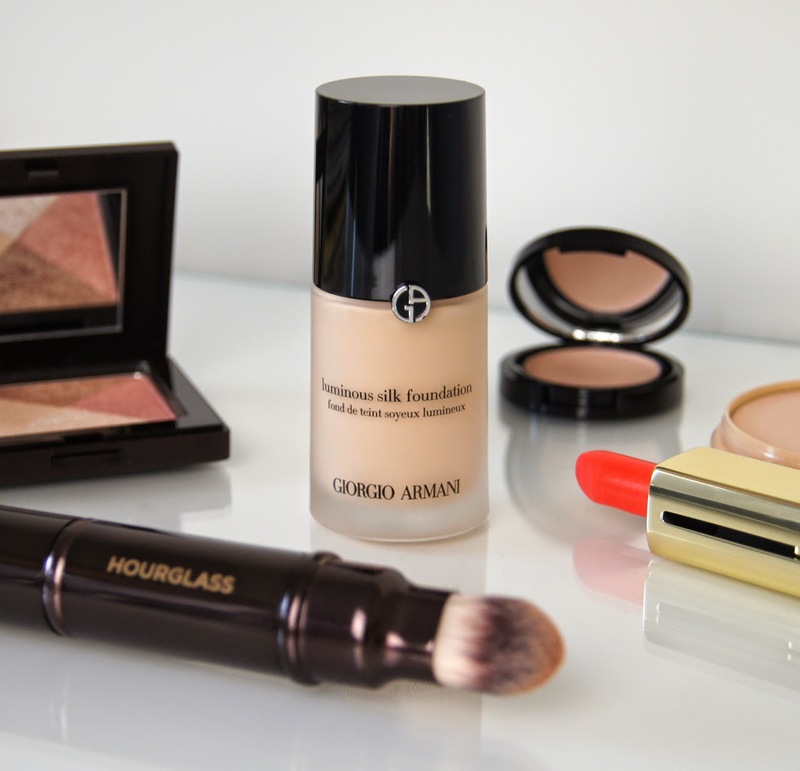 Giorgio Amarni offer a refreshingly vast, 21-strong, shade range that will have the palest, alabaster skin-tones covered, right through to deeper, ebony tones. It's easy to find the perfect match for your complexion, especially as the difference between shades is so slight, with yellow, neutral and pink undertones catered for. At the moment, I'm using shade 3.5, which is super light, but I'll definitely be buying a deeper shade once the summer arrives! At over £35, this is an expensive foundation, but it's totally worth it if it's within your budget and you really want to treat your skin. If the thought of handing over so much cash makes your palms sweaty, then I'd urge to try and get a sample or go to a counter and try it out, before taking the plunge with a purchase. Have you tried Luminous Silk? This is definitely one of the best high-end foundations but the thing with high-end is the price... I don't have that much to spend on a foundation haha! I'm super pale and the Luminous Silk range is one of the only ones out there carrying my shade but I can only afford about a bottle a year. Oh well, it's something!